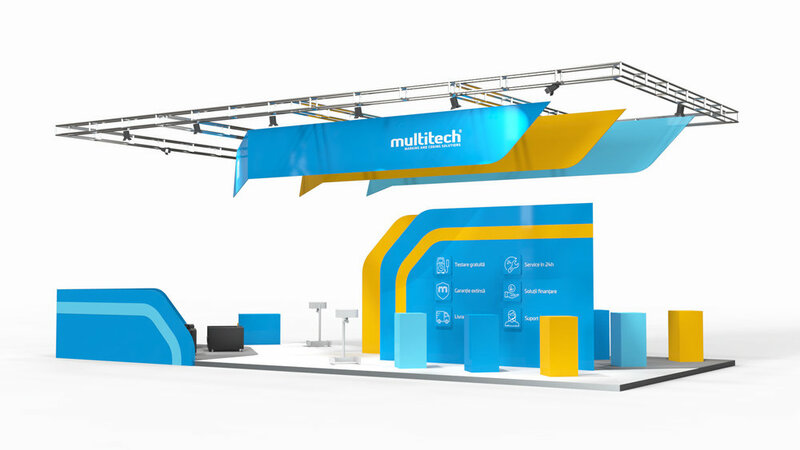 Brand identity design for Multitech, leading distributor in marking and coding equipments in Romania. Multitech is a leading distributor in marking and coding equipments in Romania, offering top of the line solutions for a wide range of manufacturing companies. 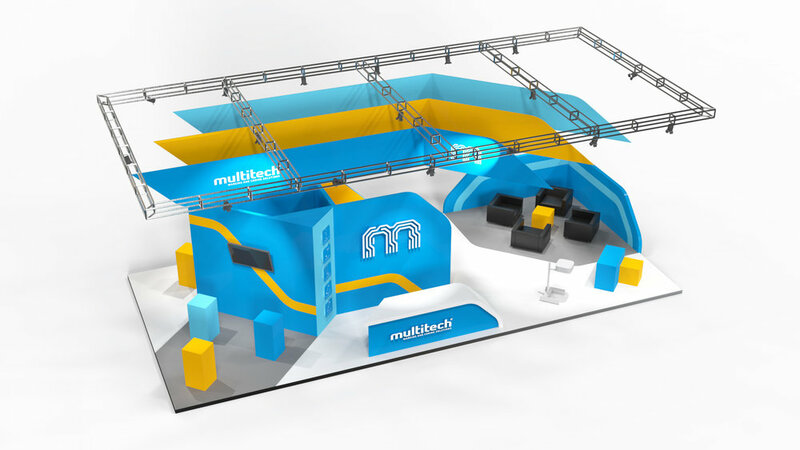 Multitech is led by a team of passionate and responsible individuals, with a clear mission in mind: increasing their clients efficiency on the production line. With the current logo as a starting point, we designed a new identity system, amplifying the brand’s visual expression. We worked closely with the Multitech leadership in developing a new vivid and dynamic identity. Merging the visuals of conveyor belts with circuit boards, we designed a symbol which complements the logo and functions as an anchor point for the visual language. The lines follow the shape of the letter “m” from the logo, symbolizing multiple technologies. For the website, we crafted a custom set of icons, that help identify the main services and technologies, and a dynamic banner template for the homepage which allows variation and consistency in showcasing new products. Custom photography is a great way to raise the authenticity bar. With the help of talented Daniel Ceapă a photo shoot was set up with the Multitech team. The photos are aimed to showcase Multitech's main services and are used on the About page and in the company brochure. You can always contact us at contact@bisigned.com or follow us on Facebook to see what we're up to. Copyright © 2018 Bisigned. All rights reserved.